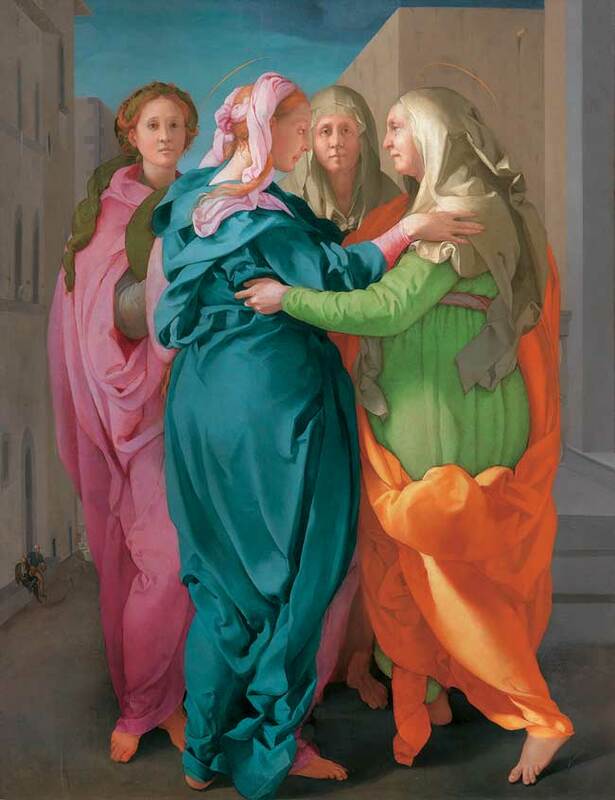 Pontormo: Miraculous Encounters, on view at the Getty Museum from February 5 to April 28, 2019, brings together a small number of exceptional works by Jacopo da Pontormo, one of the greatest Italian artists of the sixteenth century. The exhibition features one of his most moving and innovative altarpieces, The Visitation, an unprecedented loan from the parish Church of Santi Michele e Francesco in Carmignano (Prato, Italy), alongside the Getty’s own, iconic Portrait of a Halberdier, and the recently rediscovered Portrait of a Young Man in a Red Cap from a private collection. These paintings have been reunited with their only surviving preparatory studies and other related drawings, in order to clarify Pontormo’s creative processes and working methods. The Center for Medieval and Renaissance Studies at UCLA and the J. Paul Getty Museum, along with the curators of the exhibition, have organized an international conference to bring together the leading scholars from around the world currently working on Pontormo’s oeuvre. Both historians and conservators will present new research related to the main themes of the exhibition, including: the works of Pontormo’s maturity, executed between 1528 and 1530, within the historical context of the last Florentine republic and the dramatic siege of Florence; the artist’s techniques in drawing and painting; the controversial identification of the sitters of his portraits; the relationship between Pontormo and his most important student, Bronzino; broader questions of attribution and connoisseurship. In addition to formal presentations made by the speakers, conference participants will also study the works present in the exhibition directly in the gallery to foster debate and discussion. Click here to view the full conference schedule and registration information.